After spending several weeks in our national parks doing some final research for my next book, I’ve encountered what can only be called some “less than stewardly behavior “ by my fellow national park visitors. Although this isn’t the be-all-and-end-all list on national park etiquette, it’s a good starting point. And since today is National Public Lands Day, I thought it’d be a good time to share it with the world. I understand that some people can’t leave home without these horrendous contraptions, but if you must use them, look around first. Nobody likes having a selfie stick hit them in the back of the head while they’re enjoying a pristine view. I know they have a camera function, but it’s downright dangerous to try and get a tablet shot while you are running down a rocky trail. Just use your cell phone, like the rest of us. I know I’ll never get people to stop texting, but if you must text, look where you are going. I can’t count the number of people that almost ran into me while they were texting on the trail. If I wouldn’t of moved, we’d of had a head-on collision. This is pretty basic. 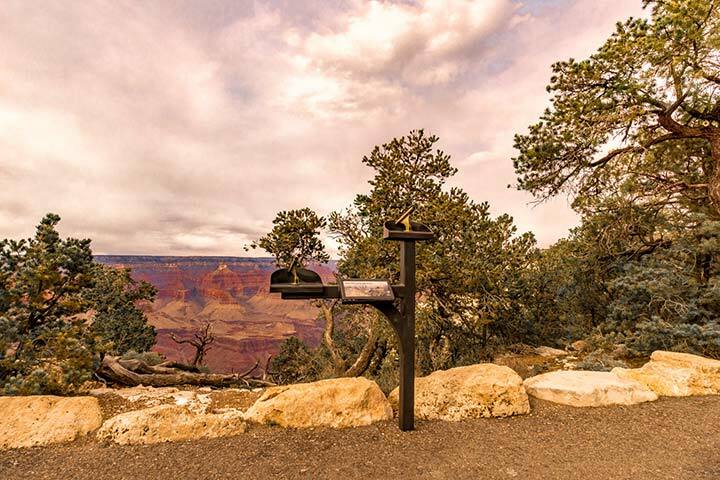 There’s no shortage of signs informing visitors that they shouldn’t take anything from our national parks, but apparently some people don’t think that rule applies to them. Over the past three weeks I’ve seen people cart out rocks, wood and even sand. Just leave it where you found it, and yes this does apply to you. Married to a photographer, I know how important it is to get that perfect shot, but please be aware of your surroundings as you look through the viewfinder. I saw a man almost get hit by a shuttle bus the other day, as he stood in the middle of the road snapping some shots of his wife on the bridge. Just look around folks – and don’t take photos from the street. Nobody likes to inhale second hand smoke, especially in a national park. Plus, fire dangers are at an all time high this year, and careless smokers could well be the cause of the next wildfire. Please be courteous of your fellow park visitors. Rental RVs are a popular way to enjoy our national parks, but learn how to drive these vehicles before you set off on your adventure. Stay on your own side of the road. Several rental RVs have almost hit us last week, after they took their half of the road out of the middle. Trails are marked for a reason, as many times fragile ecosystems surround the well traveled areas. I’ve seen far too many people traipse through these areas just for the photo op. Just obey the signs. And yes, this means you. This one is self explanatory – don’t litter. Last but not least, park only in marked parking places and designated pullouts. Unacceptable places to park include the middle of the road, off the road in an unmarked area and in the parking lot blocking a legally parked car. If there isn’t any room in a parking lot, visit another area and come back later. This entry was posted in Attractions, Destinations, Recreation, Road Trips and tagged etiquette, National Parks, national public lands day, outdoors, parks by Candy B. Harrington. Bookmark the permalink.